Planetary scientists at Brown University are collaborating with a space exploration company to plan the scientific mission of a small-scale lunar rover. The rover is about the size of a printer. 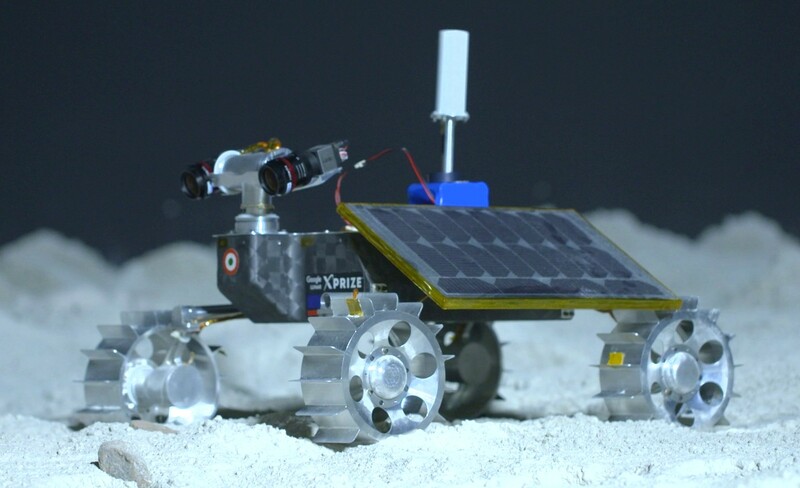 It was originally designed to compete for the Google Lunar X PRIZE by a team of engineers based in India. The prize was never awarded, but now New Jersey-based company OrbitBeyond plans to launch the rover in 2020. As part of a class on the origin and evolution of the Moon, Brown University PhD candidates Ashley Palumbo and Ariel Deutsch led a team of students who mapped the rover’s landing area, and set scientific goals for the mission. Palumbo says they plan to study volcanic eruption on the Moon, how the Moon’s internal temperature has changed over time, and regional differences lunar geology. “So, for each of those three key scientific goals, we were able to design specific scientific measurements that OrbitBeyond will be able to acquire with the payload that’s already existing on this tiny rover," Palumbo said. 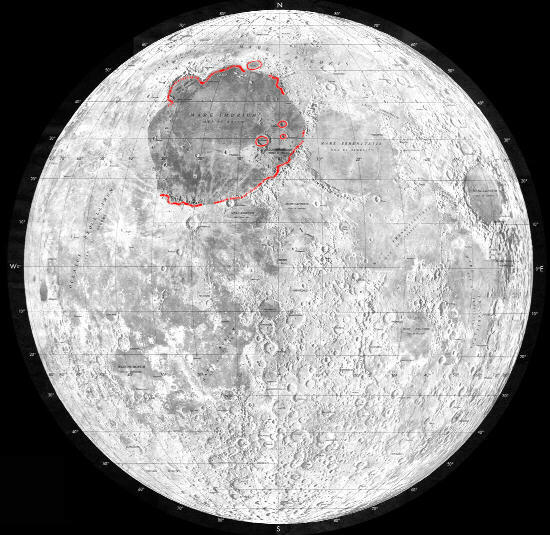 The rover will land in a relatively young volcanic field in the Moon's Mare Imbrium region and will use high definition cameras to study the surrounding terrain. “By visiting those lava flows from these recent volcanic events, we can learn so much about how volcanism has changed through time, on the Moon,” Palumbo explained. Palumbo and Deutsch’s collaboration with OrbitBeyond is part of a growing movement in planetary science towards private companies taking the lead in space exploration technology. Another example: the SpaceX test capsule that returned from a trip to the International Space Station this past Friday. Head, who helped train Apollo astronauts for NASA, said the growth of the commercial space exploration industry is opening new opportunities for researchers. “Just being able to develop these small companies that can provide these services to the Moon is just amazing. That is a capability we have not had before. So it gives Ashley and Ariel and other students the opportunity to dream about what they would do,” Head said. Deutsch is also seeing increased opportunities for research, as commercial space exploration companies expand. That lower cost barrier is giving students like Deutsch and Palumbo the opportunity to design their own lunar experiments. Palumbo and Deutsch will present their research plan for the rover at a conference of planetary scientists and space exploration companies on March 16th. And they plan to continue collaborating with OrbitBeyond to execute their study. The small-scale rover has forward and backward facing cameras, which the team will use to study the lunar terrain. The Mare Imbrium region of the Moon's surface. 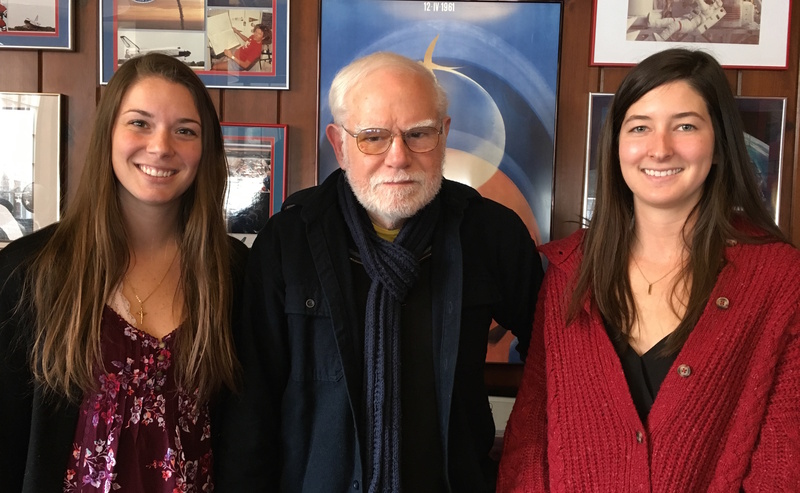 From left, Ashley Palumbo, Jim Head, and Ariel Deutsch.